For in-store inquiries, use sku #2575668. 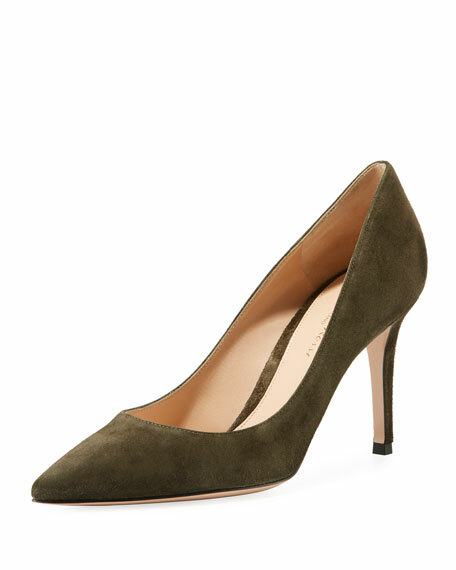 Alexandre Birman suede pumps with python snakeskin trim. 2" covered heel. 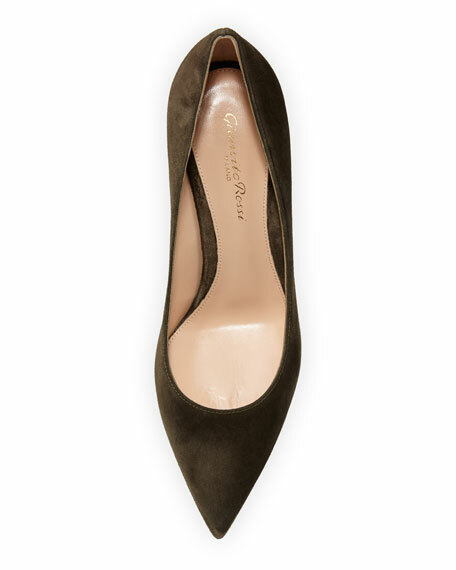 Pointed toe with cutout detail. 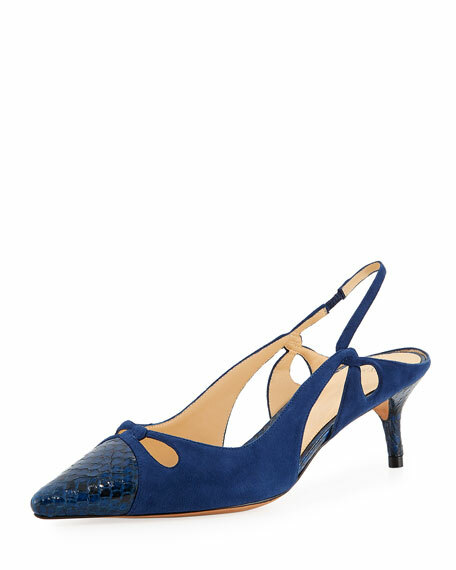 Twisted slingback stretch strap. Slip-on style. Leather lining and sole. "Nanny" is made in Brazil. 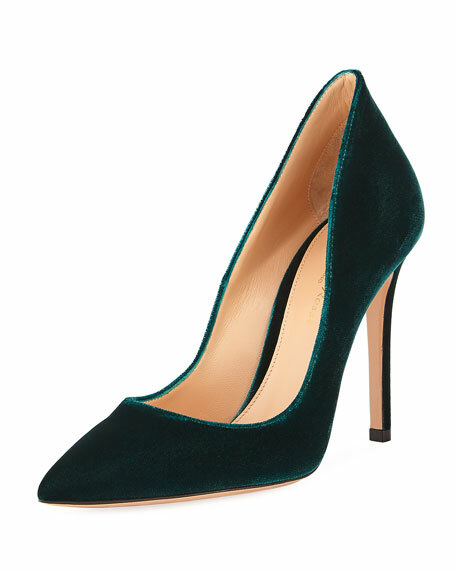 Aquazzura suede pump with pompom at vamp. 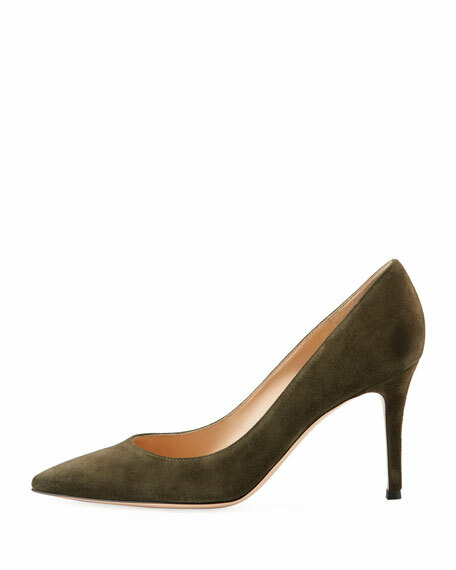 3.3" covered kitten heel. Pointed toe. Adjustable halter ankle-wrap strap. Leather lining and sole. "Powder Puff" is made in Italy. 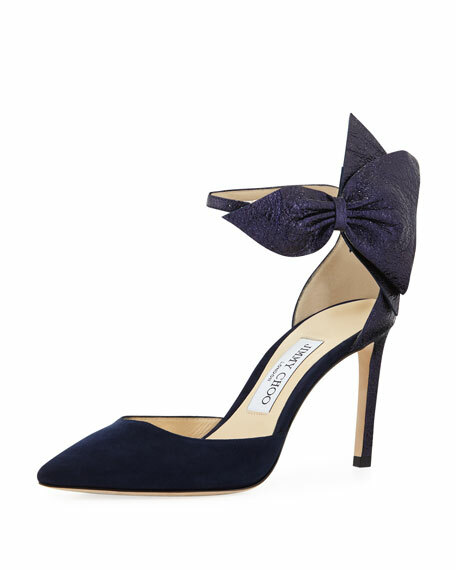 Jimmy Choo suede and crinkled leather pump with bow at side. 3.3" covered stiletto heel. Pointed toe. d'Orsay silhouette. Adjustable ankle strap. Leather lining and sole. "Kathrine" is made in Italy.